Yesterday, I excerpted some key facts and figures presented by Acting EIA Administrator Howard Gruenspecht at a Senate Energy and Commerce hearing on the future of natural gas. Today I summarize some of the main points presented in testimony by MIT Professor Ernest Moniz. Global natural gas resources [including resources not economically recoverable at current prices] are estimated to be between 12,400 trillion cubic feet (Tcf) and 20,800 Tcf, with a mean estimate of 16,200 Tcf. For perspective, 2009 global gas consumption amounted to 109 Tcf. 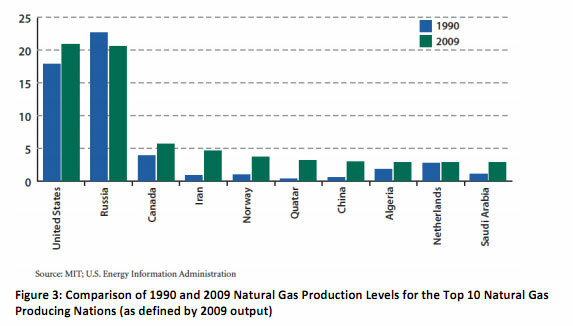 These estimates do not include shale gas outside of North America. 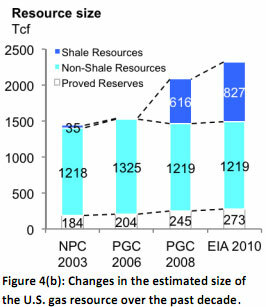 EIA recently estimated that an additional 5,300 Tcf of shale gas exists in regions lacking large conventional resources. Much of the global resource base can be developed at relatively low prices. Globally, over 4,000 Tcf can be developed at or below $2.00/MMBtu, with 9,000 Tcf at or below $4.00/MMBtu. For perspective, yesterday (July 19, 2011), U.S. natural gas traded at $4.53/MMBtu on the New York Mercantile Exchange (NYMEX). Unlike oil, the cost of transporting gas long distances (via pipelines or in tankers as liquefied natural gas [LNG]) is high. An additional charge of $3.00-$5.00/MMBtu is required to cover transport costs. 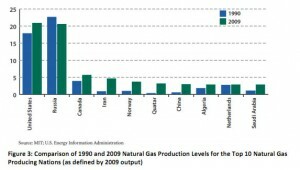 Over the past two decades global production of natural gas has grown by almost 42% overall from approximately 74 Tcf in 1990 to 105 Tcf in 2009. This is almost twice the growth rate of global oil production during the same period. The most rapid growth was in the United States and Russia. Greater production has expanded gas markets and cross border trade. From 1993 to 2008, global cross-border gas trade almost doubled, growing from 18 Tcf (25% of global supply), to 35 Tcf (32% of global supply). Most cross-boarder gas movements have historically been via pipeline. However, LNG plays an increasing role. In 1993, 17% of cross-boarder gas trade was via LNG. By 2008 the proportion had increased to 23%, and the absolute volume had increased by 5 Tcf, or 166%. Two technologies — hydraulic fracturing (“fracking”) and horizontal drilling — have rapidly increased natural gas production from shale formations. 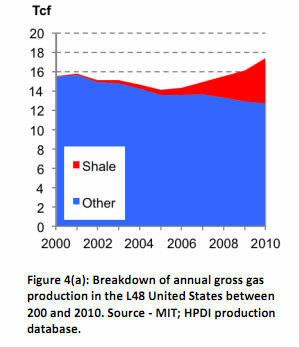 The proportion of total U.S. gas production coming from shale resources grew from less than 1% in 2000, to 20% in 2010. By the end of 2011, this is expected to reach 25%. Shale gas now makes up an estimated 36% of all U.S. gas resources. Shale gas is “moderate cost gas,” not “cheap gas.” Of the 900 Tcf of U.S. gas recoverable at or below $8.00/MMbtu, 470 Tcf is shale gas. Of U.S. gas available in the “moderate” price range of $4.00-$8.00/MMBtu, over 60% is shale. Regulatory best practices should be applied uniformly to all shale plays. Significant demand reduction from business as usual. Significant increase in natural gas consumption. 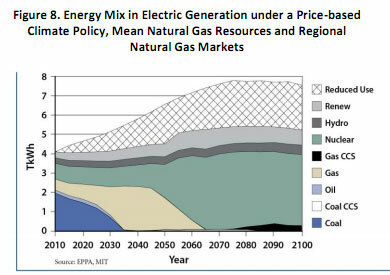 Total displacement of coal generation with natural gas by 2035. By around 2045, natural gas becomes too carbon-intensive to meet the GHG reduction targets, and starts to decline. Nuclear scales up to replace gas in MIT’s pre-Fukushima model run. 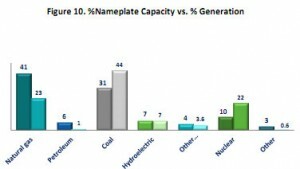 Natural gas combined cycle [NGCC] generation units in the USA in 2009 had an average “capacity factor” (the ratio of actual output over a period of time to nameplate capacity) of only 42% but they are capable of capacity factors around 85%. Although relatively inexpensive to build (compared to nuclear and coal power plants), natural gas plants “typically have the highest marginal cost (although that is changing) and tends to get dispatched after other sources of generation. This is because marginal cost is dominated by fuel cost.” In other words, the cheapest power is dispatched first. Moniz clearly favors this policy. His testimony does not estimate the impacts on consumer electric rates or natural gas prices. Industrial consumers account for about 35% of U.S. natural gas demand. About 85% of industrial demand is the manufacturing sector, and 36% of manufacturing demand is for industrial boilers. 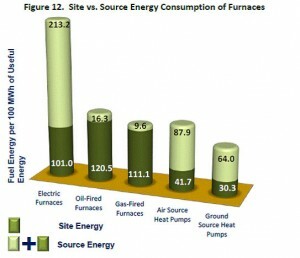 In other words, about 11% of U.S. natural gas demand is for industrial boilers. 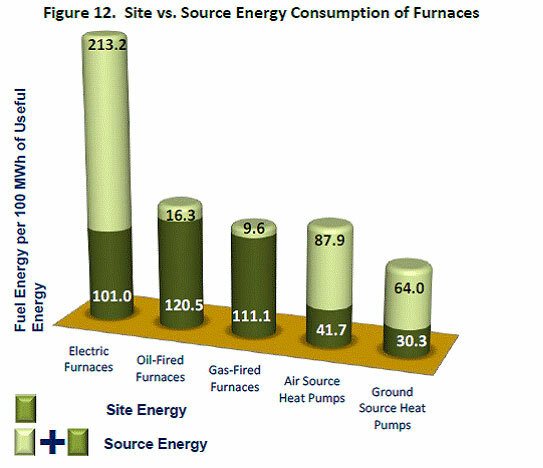 Around 68% of large industrial boilers are coal fired. 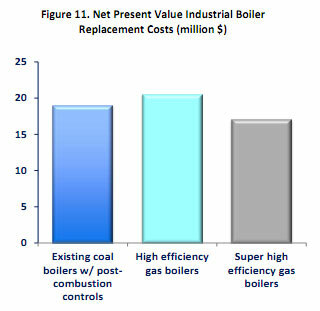 EPA’s Boiler MACT (maximum available control technology) Rule (proposed and then withdrawn for reconsideration) assumed that manufacturers would retrofit coal boilers with post-combustion emission controls rather than switch to natural gas boilers. However, says Moniz, ‘The price of gas assumed in the EPA analysis was $9.58 per MMBtu in 2008; today’s price is less than half that.” Using EPA’s methodology but plugging in current gas prices, MIT concludes that it costs less to comply with MACT by replacing coal boilers with super high efficiency natural gas boilers than by retrofitting coal boilers. You say that NGCCs ran at 42% of capacity in 2009.
number, (although that is changing)…. converting its import terminal to export. So we can continue to see $4 natgas….for a long time to come. to China and India….at profitable prices. Those natgas NGCCs capfacts are going up and then up again. I have always believe in exploring, investing, developing, and utilizing a much cleaner (green energy) and viable energy resources like natural gas, solar, wind…as to reduce our dependent on foreign oil, CO2 reduction, and the likes to help us sustain our voracious appetite for energy resources for many generations to come. I especially like to see much more investments and development of ways to harnish free and abundant solar and wind energy, for example, thus making it more readily and feasible for industries and the masses, too. Without clear objectives, progressive governmental energy policy in place, and “forward thinking,” our energy future will be dim and life as we know it today may cease to exist in a not too distant future. Previous post: Has Chesapeake Energy CEO Aubrey McClendon Turned the Corner on Rent-Seeking?